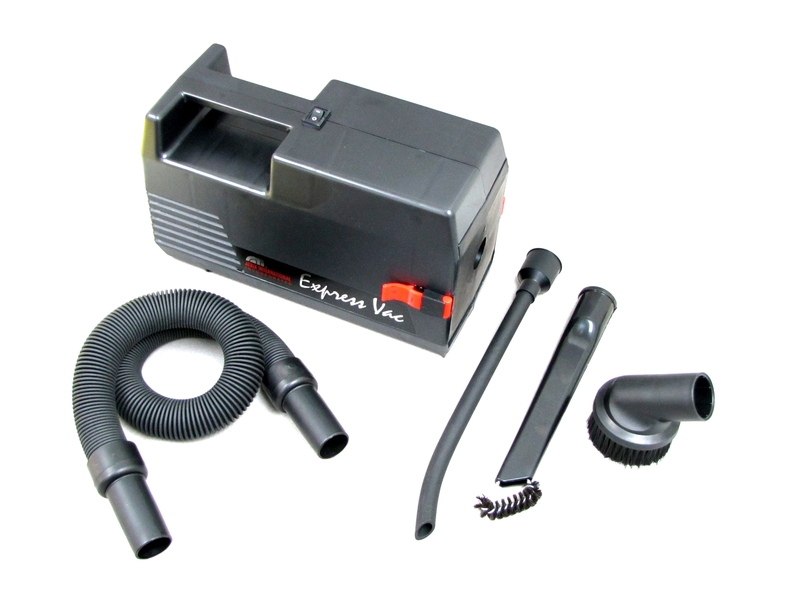 Express Vac, our smallest vacuum, weighs 8 lb. (with accessories and box) and has a top handle. Measures 12inch x 8.25inch x 9.5inch . Fabric carrying Tote sold separately. Three filtration systems are available: (1) a bag and shell filter combination, (2) a disposable, anti-dump canister filter in a recycled plastic housing or (3) a HEPA filter cartridge. Low suction makes this vacuum ideal for collection cleaning.